Roses are red, violets are blue, I love Valentine's Day, and you should too! 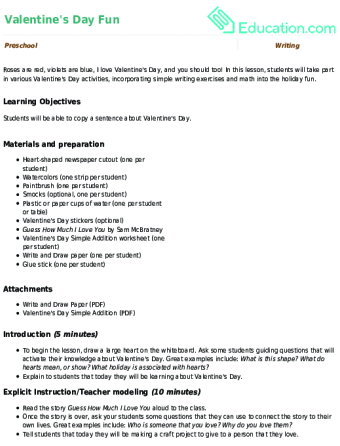 In this lesson, students will take part in various Valentine's Day activities, incorporating simple writing exercises and math into the holiday fun. 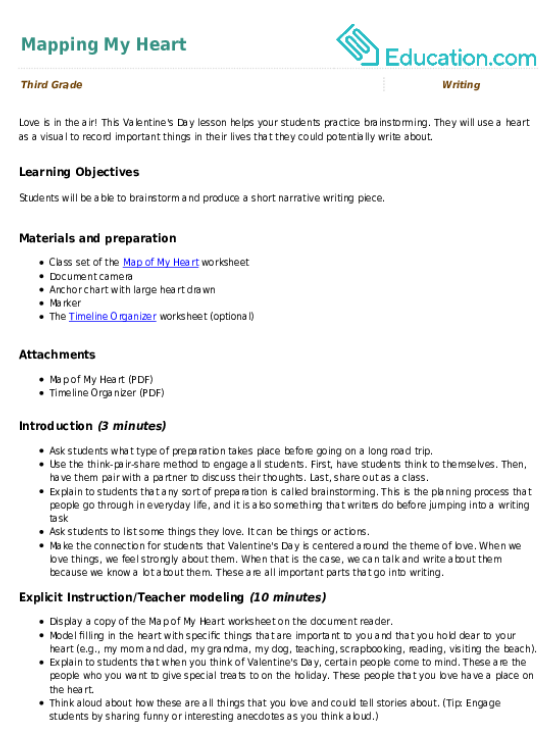 To make a long story short, idioms are a fun addition to the English language! 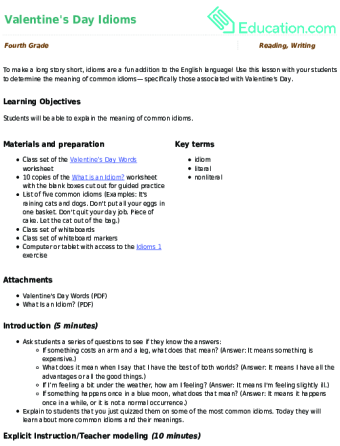 Use this lesson with your students to determine the meaning of common idioms— specifically those associated with Valentine's Day. How do I love thee? Let me count the ways. 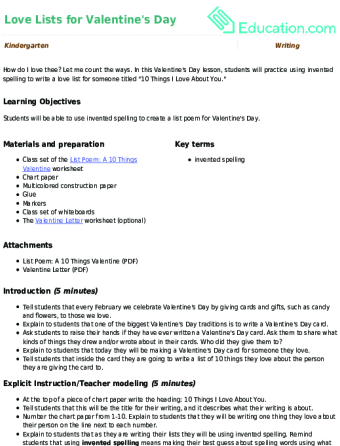 In this Valentine's Day lesson, students will practice using invented spelling to write a love list for someone titled "10 Things I Love About You." Love is in the air! 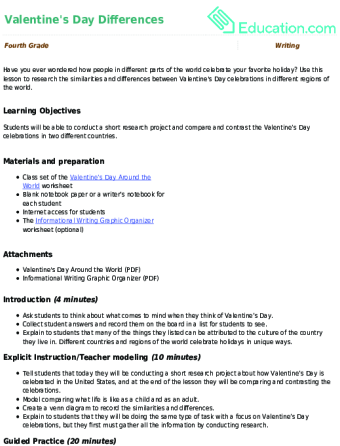 This Valentine's Day lesson helps your students practice brainstorming. 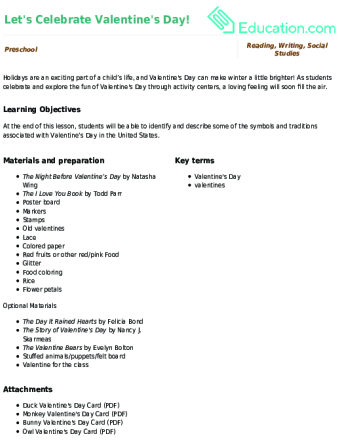 They will use a heart as a visual to record important things in their lives that they could potentially write about.